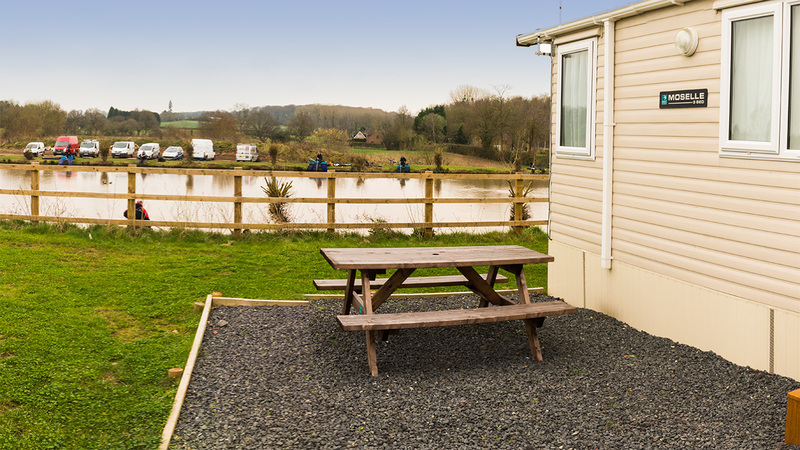 Our select development of luxury holiday homes here at Woodland View Leisure are available for bookings. 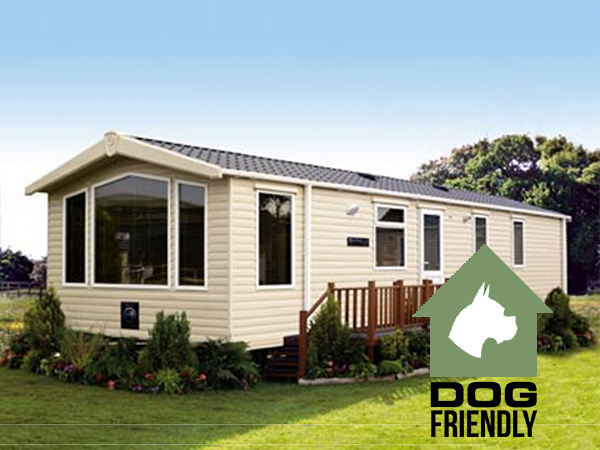 Our superb, modern caravans are suitable for holidays 52 weeks of the year thanks to their superior insulation. 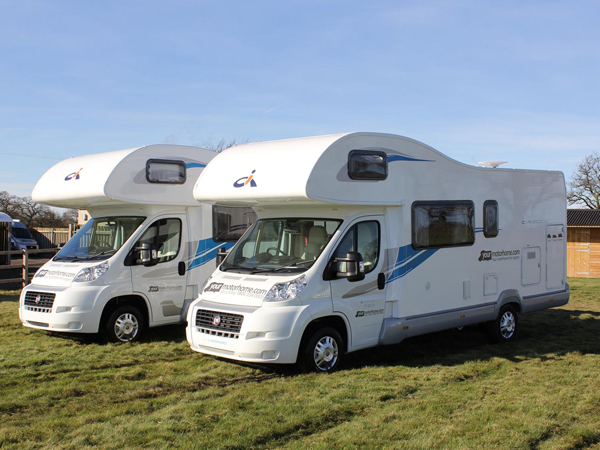 Plus, with gas central heating & double-glazing on all our caravans you can relax in a warm, safe surrounding while you concentrate on enjoying your holiday in the beautiful Worcestershire surroundings. 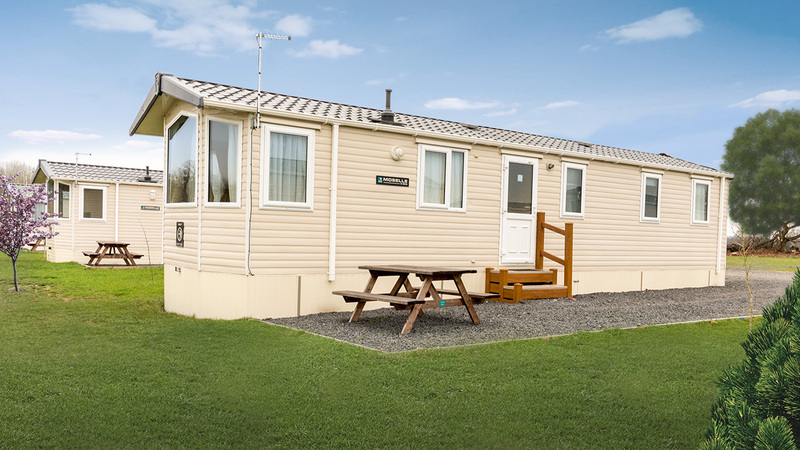 Each of our luxury leisure homes features a flat-screen LED/LCD television, microwave, fridge-freezer & household appliances to use to make your stay as comfortable as possible. (Please note you are required to bring along your own bed linen & towells.We provide duvets & pillows. 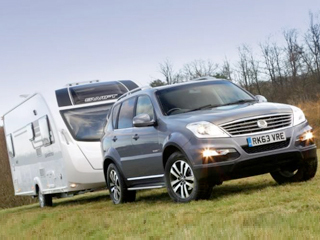 )There is off-road parking adjacent to your caravan. 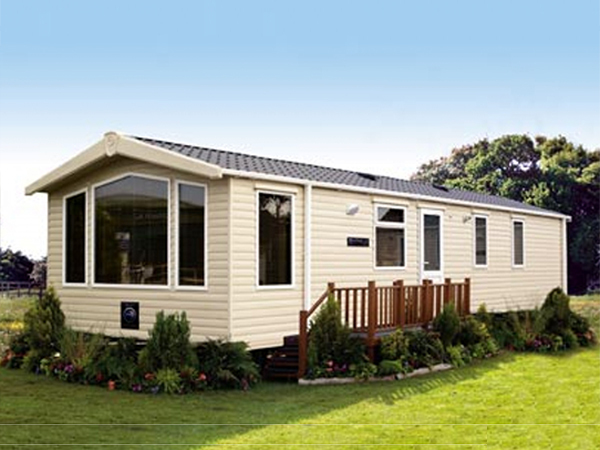 This image shows the exact specification of all our caravans on site. 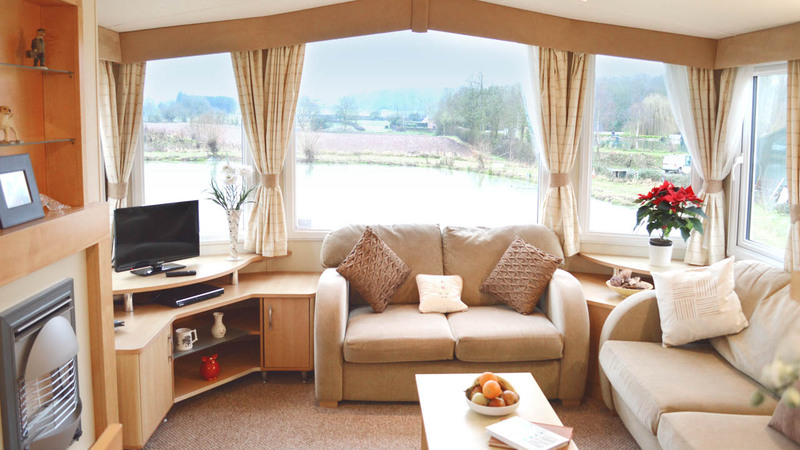 An example of a three-bedroom caravan, here at WoodlandView Leisure. 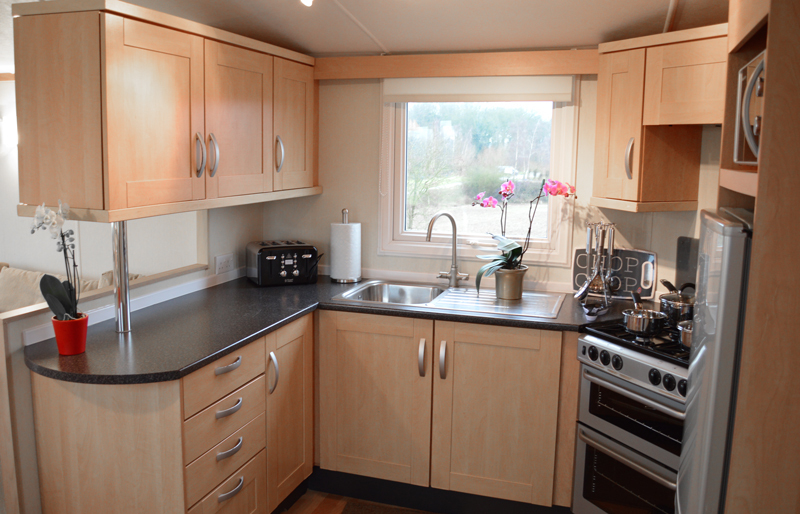 An example of a two-bedroom caravan, here at WoodlandView Leisure. The master bedroom, plenty of storage comes as standard in our caravans. Twin beds: 6'0" x 2'3"
Sofa bed: 5'11" x 3'8"
There's everything you could need already and set to go. With the array of local restaurants, pubs and bars you may decide not to cook, but the choice is yours! 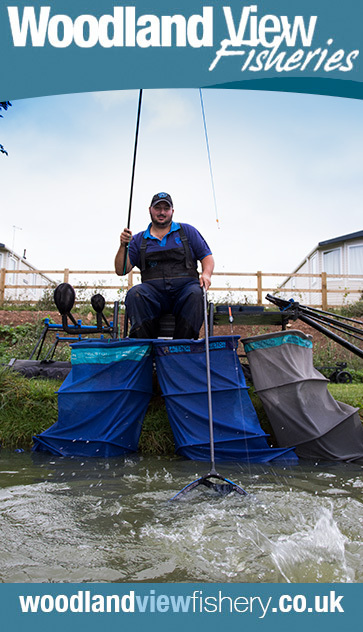 Whether you're taking on a hearty breakfast to set you up for the day, feeding the family after a great day out or relaxing with a pizza in the evening, the dining table provides a great place to catch up and discuss the day. The shower facilities in our caravans offer a warm and pleasant shower, ideal for the day ahead or unwinding after a long day exploring.